Living in the Path is an online program taught exclusively by Lama Zopa Rinpoche, the spiritual director of the FPMT. 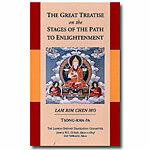 Many of the modules are extracted from Rinpoche’s explanations of the topics of the lamrim – the teachings on the stages of the path to enlightenment according to the Tibetan Buddhist tradition of Lama Tsongkhapa (Gelug). 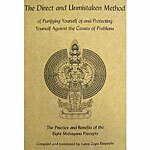 Other modules cover specific practices intended to help us purify our negative karma and create the merit necessary to actualize the lamrim topics. Living in the Path is ideal for anyone who wishes to deepen their personal practice and develop the realizations of the path to enlightenment by relying on Lama Zopa Rinpoche’s heart advice and teachings. However, as Rinpoche’s teachings often assume familiarity with the topics of the lamrim, it is advisable to have done some prior study of the lamrim, such as by having completed some or all of the modules of Discovering Buddhism. In this module of Living in the Path, Lama Zopa Rinpoche explains how everything comes from our mind: (1) due to karma (the mental factor intention, and therefore mind), things appear to us, (2) we then label them (the mind does the labeling and the label itself comes from the mind), and then that particular thing appears to our mind, and finally (3) ignorance (a mind) projects the hallucination of true existence on that thing and we then believe it to exist in that way. As well as explaining karma and emptiness in very practical ways, Rinpoche discusses the importance of stopping anger and gives many ways to meditate on patience. 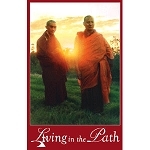 This module of Living in the Path consists of 81 pages of lightly edited transcripts accompanied by ten short video excerpts drawn from teachings given at the Light of the Path Retreat 2009 held in North Carolina, USA. The module is introduced in a video featuring Ven. Robina Courtin. A “Certificate of Achievement” is granted upon the successful completion of all the course requirements regarding study, meditation, and practice. 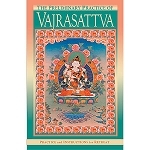 Important information about your order of online materials: Following your purchase of an online course, you will receive an email with a link to a webpage to download a PDF document that will contain the enrollment key for the course and instructions on how to access the course on the FPMT Online Learning Center.